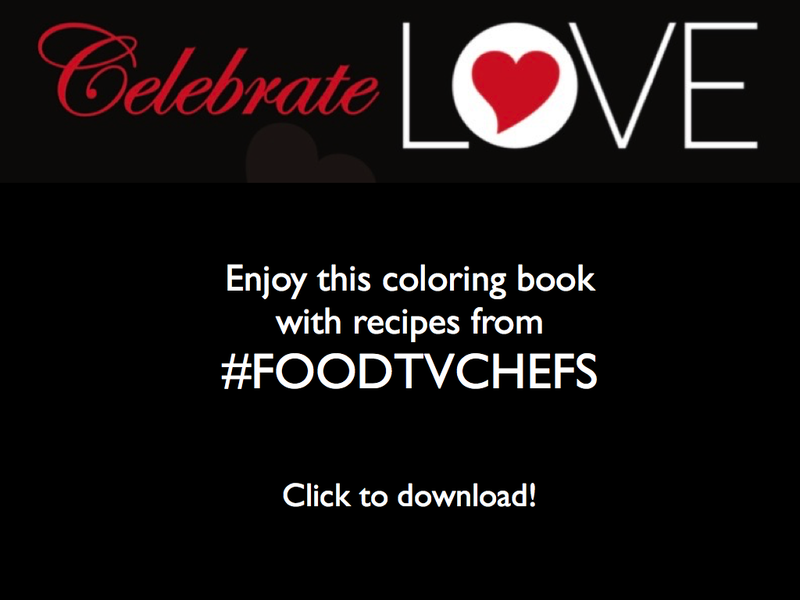 #Fo odTVChat is the only Twitter chat that brings TV Chefs, Contestants, Hosts and behind the camera folks together with the tweeple, who live tweet and/or are passionate about FoodTV shows, in digital conversations. Date 1/11/18 Jasmine Stewart, Winner MasterChef Junior Season 5 Fox Broadcasting/Gordon Ramsay. Special guest Gina Gonzalez Scallon, casting director MasterChef Junior. Note: Diva Foodies partnered with MasterChef Casting on this special chat. Date: 12/10 Open Mic ~ Chefs & Fans TV Forum. Topic: Holiday Virtual Recipe Swap with a cast of surprise special TV Chefs, Chefs & Food Fans Join in the fun sharing your favorite holiday recipes and traditions. Date: 10/15/15 Open Mic ~ Fan Foodie TV Forum. Topic: Halloween Recipes With a cast of surprise special TV Chefs. Join in the fun sharing your favorite recipe and photos! Date: 6/4/15 Chef Meghan Gill Fox Hell’s Kitchen Finalist Winner of Season 14. Note: Finale HK show is 6-9. Date: 4/9/15 Open Mic ~ Fan Foodie TV Forum. Topic: How do you use FoodTV shows? Bring your recipes, food photos & stories. Twitter guests include: @bitz4bkd @LeftofStr8 @Donchefbunny and You! 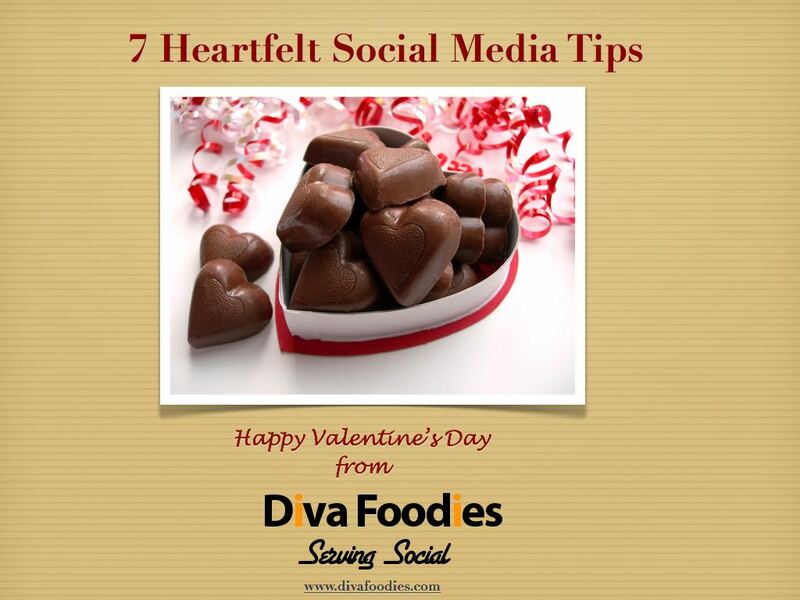 To view the chat’s tweets and see the conversation on Twitter, follow the hashtag #FoodTVChat Here are a few tips. Twitter Search is also a way to monitor a Hashtag. Drop #FoodTVChat into Twitter search. You’ll see several links will pull in tweets as well as photos and videos. Top is what Twitter considers to be the popular tweets that Twitter users engaged with and found useful. Live pulls in all of the tweets. 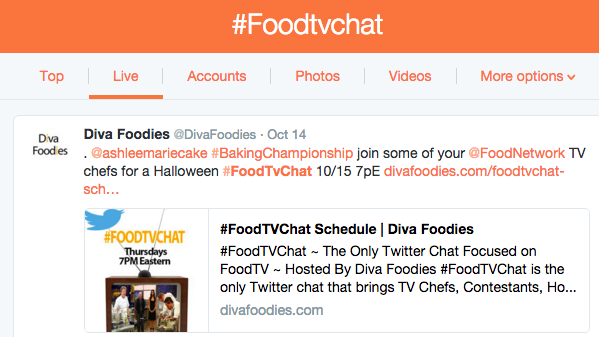 With TweetDeck or HootSuite you can create unique streams to follow #FoodTvChat and @DivaFoodies at the same time. 4. Now you’re ready to join the conversation! Tweet as usual But, and this is the Important secret, Add the hashtag #FoodTVChat to All your tweets. Now the entire #FoodTVChat community will see your tweets. 5. Have fun! See you Thursdays at: Eastern 7p| Central 6p |Mountain 5p |Pacific 4p!